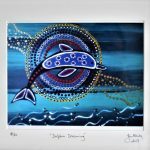 Jenny’s dot painting Rainbow Serpent dreaming is the story of the Wawalag or Wagilag sisters. 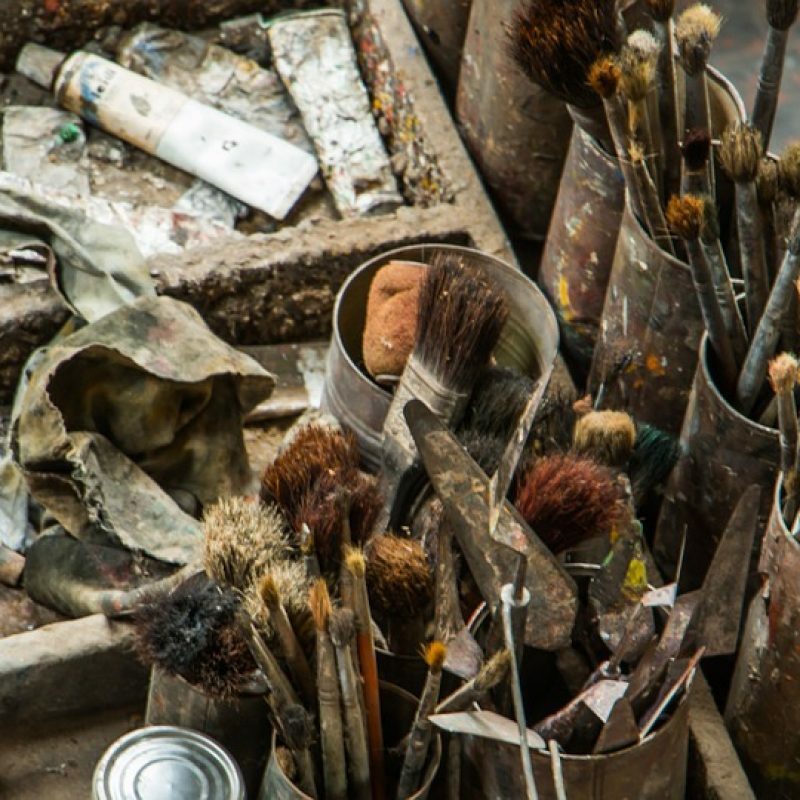 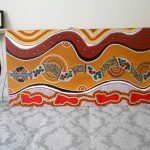 According to legend, the sisters are traveling together when the older sister gives birth, and her blood flows to a waterhole where the Rainbow Serpent lives. 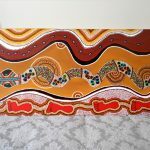 In another version of the tale, the sisters are traveling with their mother, Kunapipi, all of whom know ancient secrets, and the Serpent is merely angered by their presence in its area. 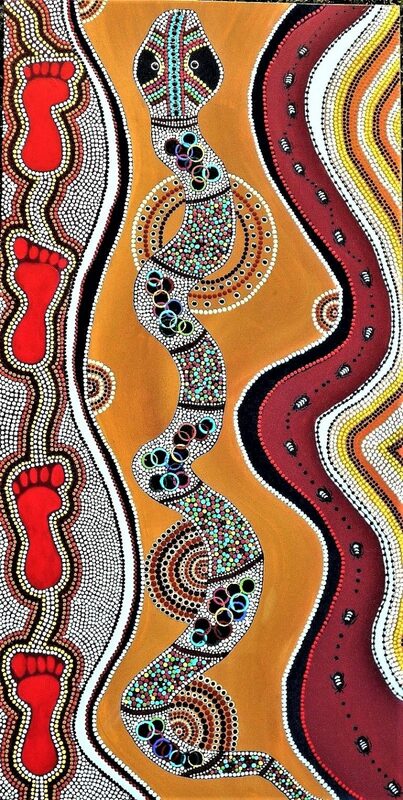 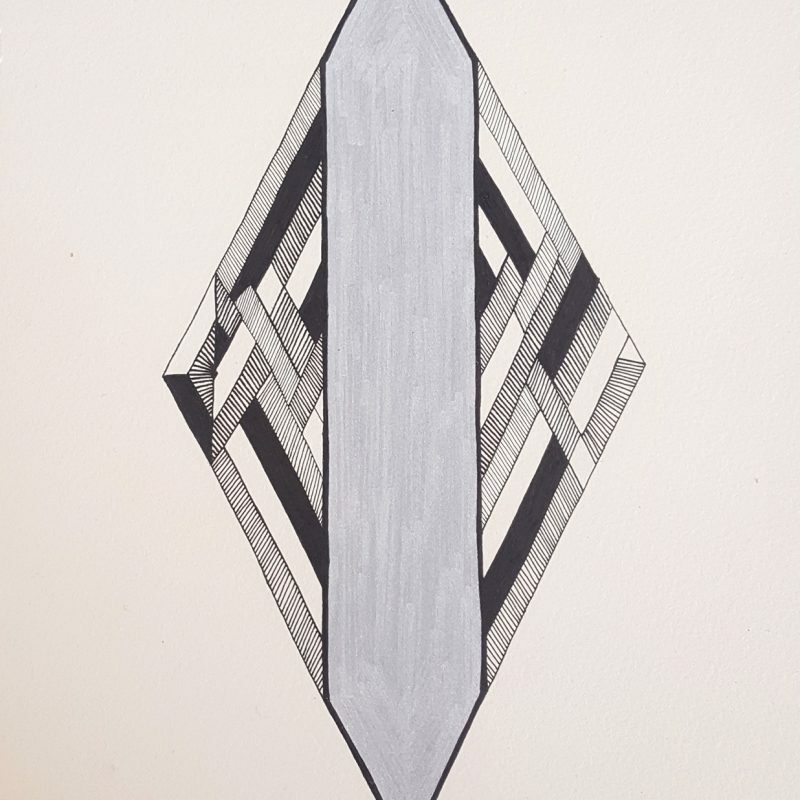 The Rainbow Serpent then traces the scent back to the sisters sleeping in their hut, a metaphor for the uterus. 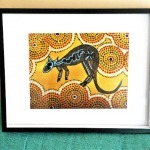 The Rainbow Serpent enters, a symbolic representation of a snake entering a hole, and eats them and their children. 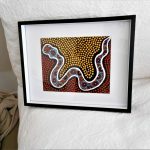 However, the Rainbow Serpent regurgitates them after being bitten by an ant, and this act creates Arnhem Land. 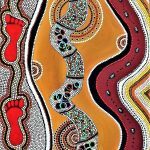 Now, the Serpent speaks in their voices and teaches sacred rituals to the people living there. 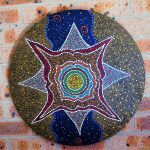 There are many ancient rituals associated with the Rainbow Serpent that are still practiced today. 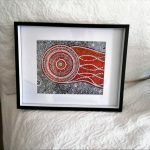 The story of the Wawalag sisters marks the importance of the female menstruation process and led to the establishment of the Kunapipi blood ritual of the goddess, in which the indigenous Australians allegorically recreate the Rainbow Serpent eating the Wawalag sisters through dance and pantomime, and can be regarded as a fertility ritual. 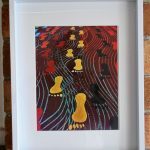 The footprints represent the indigenous people walking across country. 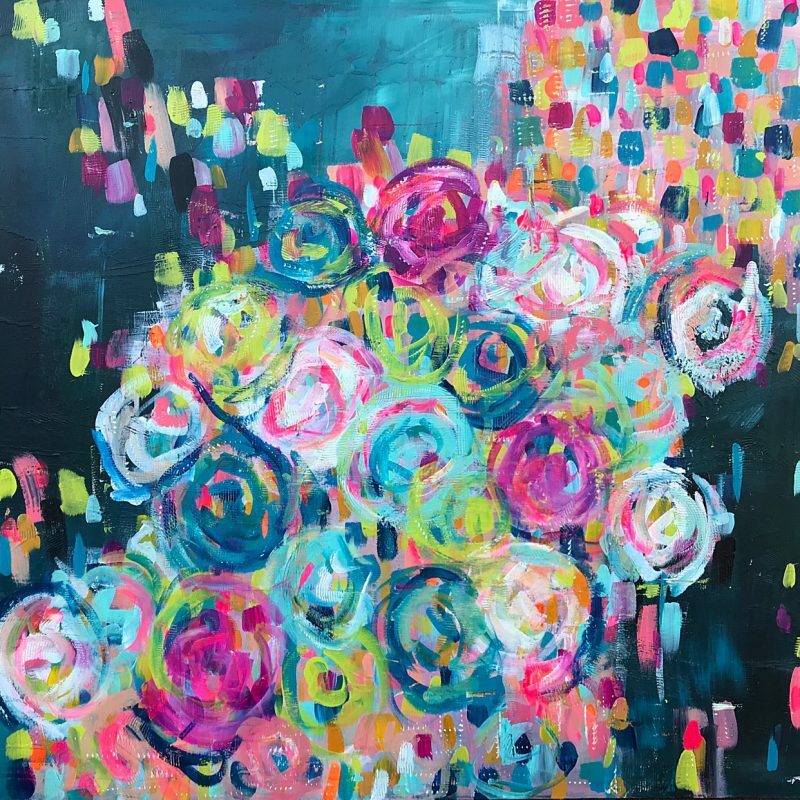 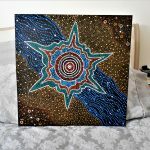 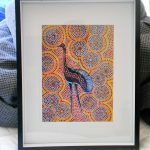 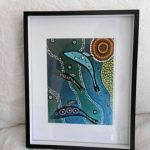 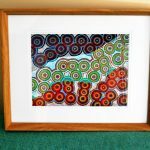 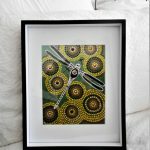 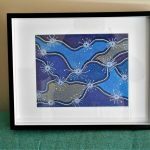 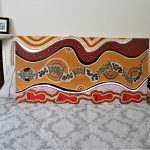 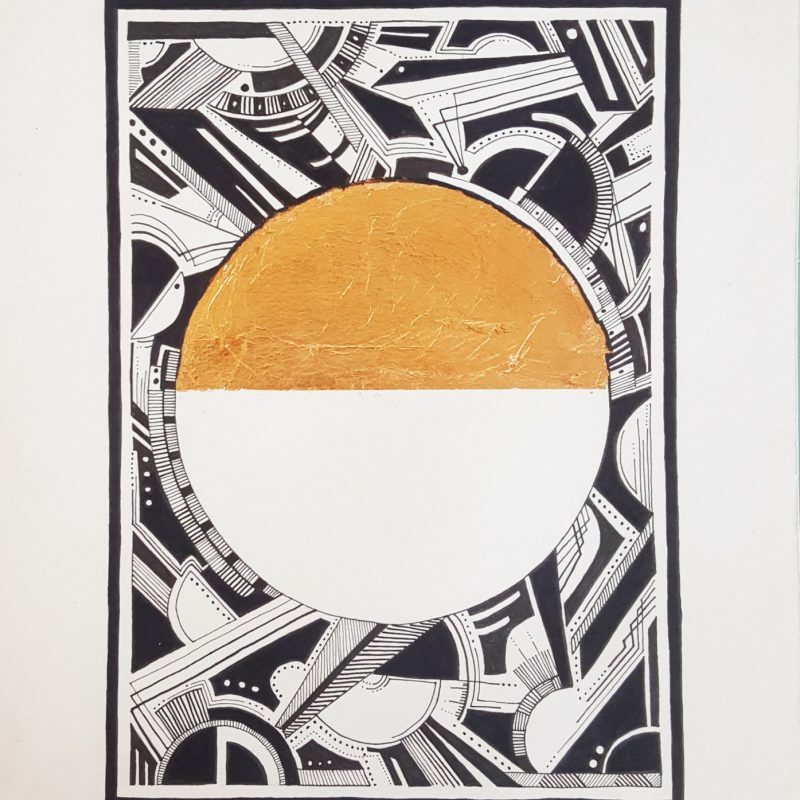 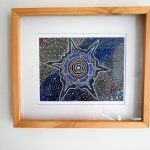 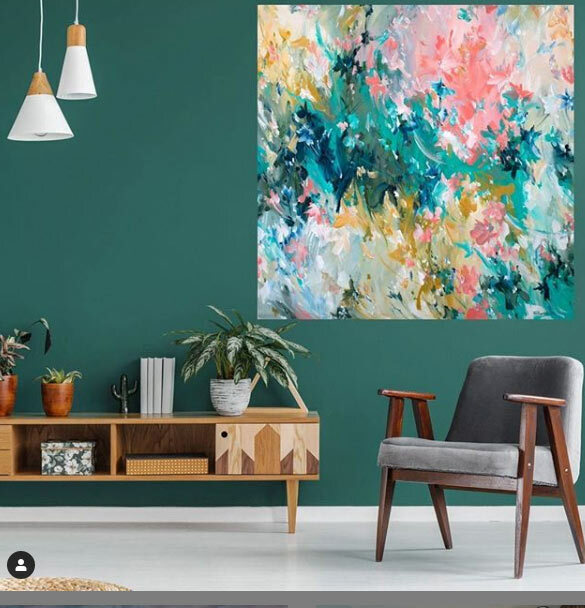 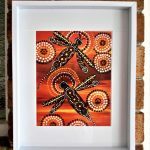 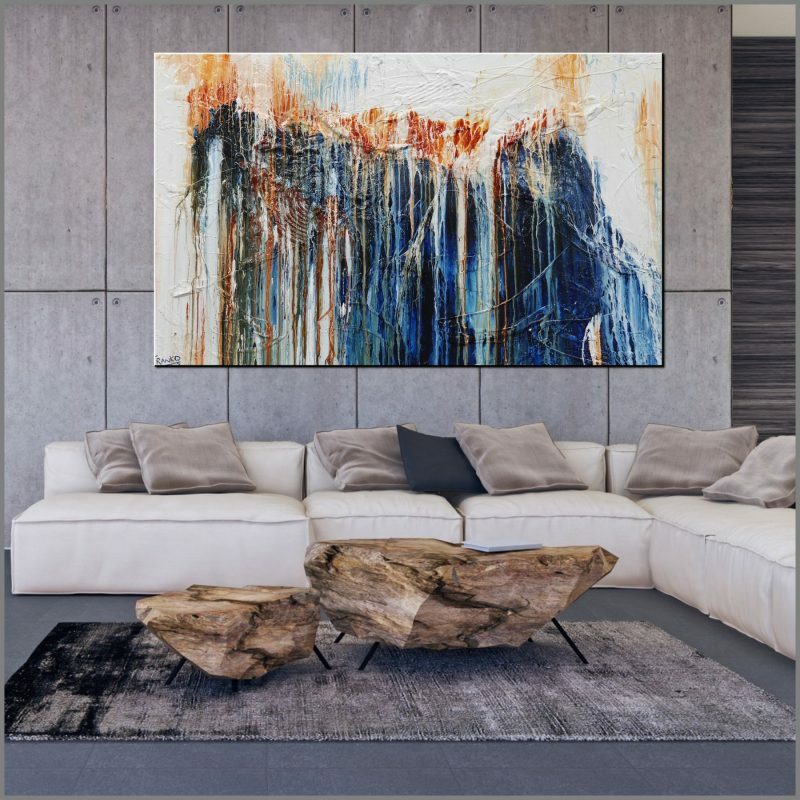 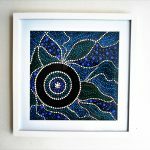 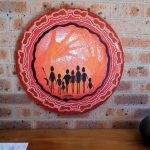 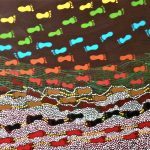 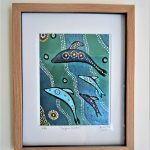 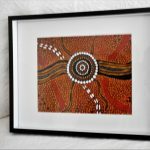 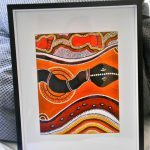 This one of kind painting is striking with vibrant traditional colours depicting the dreamtime story of the Rainbow Serpent beneath the earth. 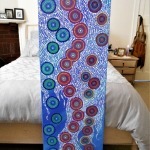 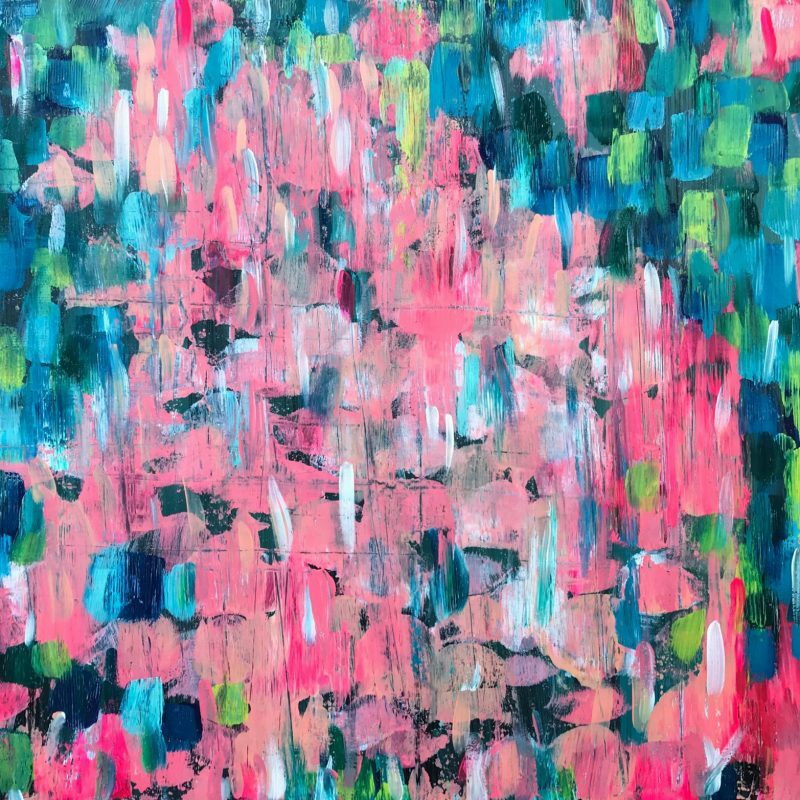 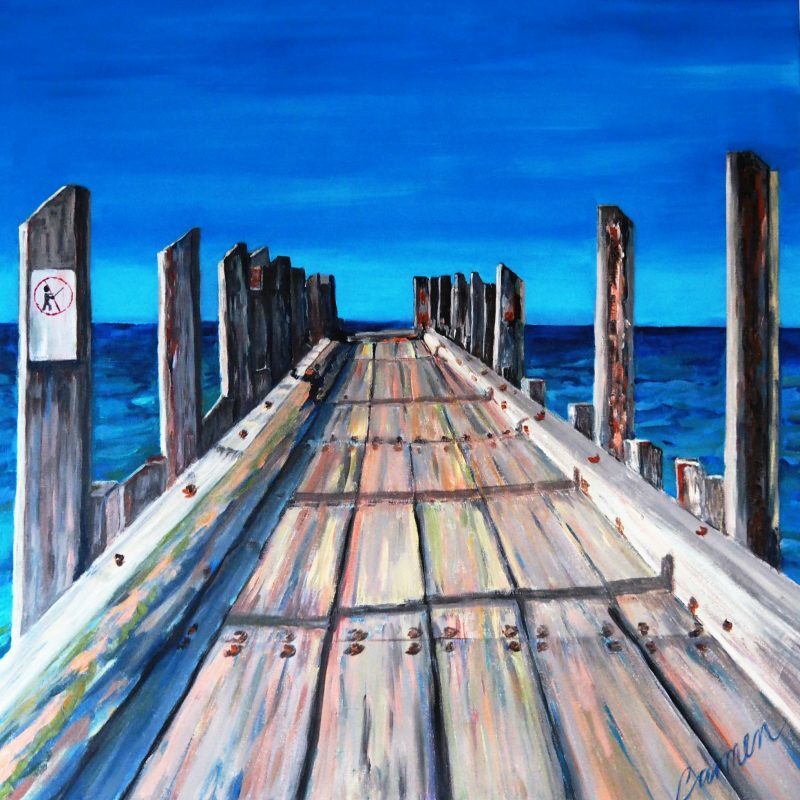 This is a large work measuring 122 cm x 61 cm approx.